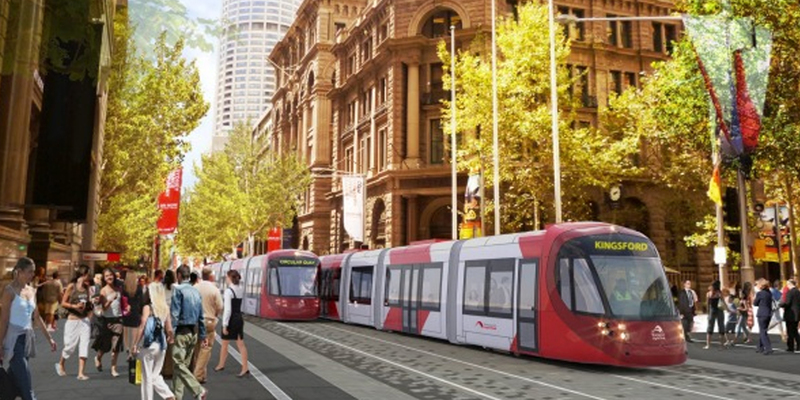 The CBD and South East Light Rail is a new light rail network for Sydney, currently under construction. The 12km route will feature 19 stops, extending from Circular Quay along George Street to Central Station, through Surry Hills to Moore Park, then to Kensington and Kingsford via Anzac Parade and Randwick via Alison Road and High Street. Civil construction will be progressively completed across the majority of construction zones in 2018, with testing along the Randwick section of the network already underway.